With his captivating voice and a sound that exhibits his passion from every note, Richie Stephens and The Ska Nation Band have released their first studio album “Internationally”, April 15th. The 14-track album is a tribute to ska music. 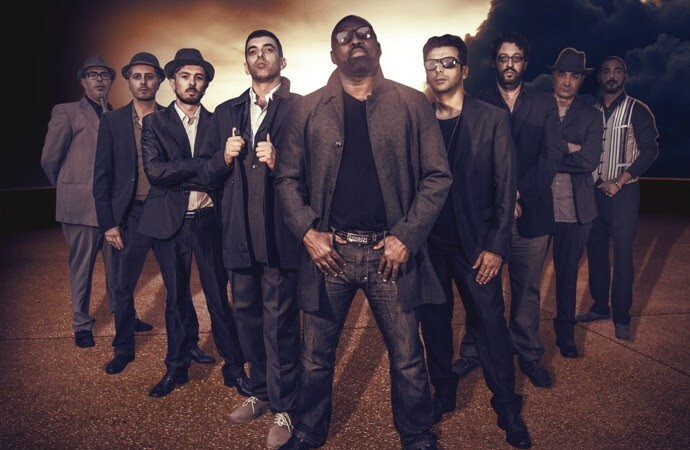 Richie Stephens from Jamaica and The Ska Nation Band from Italy came together to create a masterpiece, which listeners can appreciate and become educated at the same time. “I truly think ska music should be preserved and respected by us as Jamaican people for being our first international music” says Richie Stephens. Throughout the album Richie Stephens and The Ska Nation Band embrace the musical magic of this genre. Many music lovers may look at ska music as “older reggae music” but Richie Stephens and The Ska Nation Band definitely changed that stereotype. With singles like “Original Style” featuring Sean Paul and Gentleman, “Internationally” featuring Sud Sound System or “Everybody Dance” there is a youthful tone which highlights the ability to blend age groups and still highlight the great arrangement and greatness of ska. Working with some of the greatest reggae musicians on this album like Cleveland “Clevie” Browne, Dean Fraser and Stephen “Lenky” Marsden, Richie Stephens and The Ska Nation Band created a great piece of musical work. “I would like every one to listen to this album and realize that ska music is a very serious genre that can stay on top” says Richie Stephens. Have a look at the video of the first single “Fire Fire”!